A clip released of the interview shows Stephanopoulos asking Comey, “how strange is it for you to sit here and compare the President to a mob boss?” Comey himself doesn’t speak in the video. Comey was fired by Trump last year, with the administration saying it stemmed from his handling of the investigation into Democratic presidential nominee Hillary Clinton’s private email server. 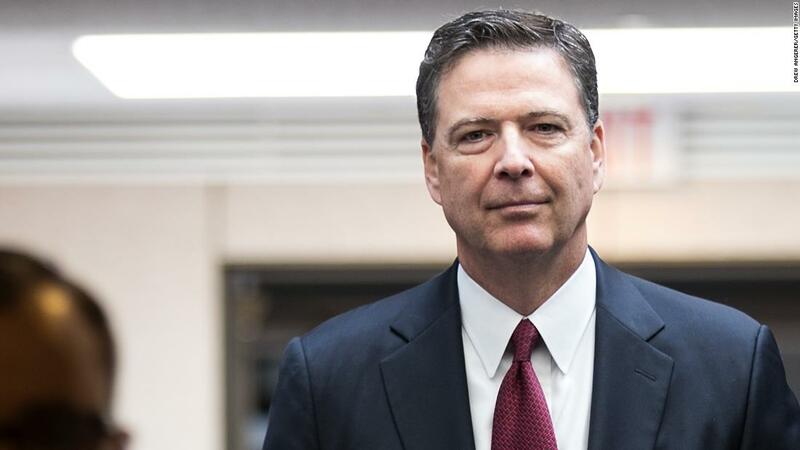 Following his departure, Comey told the Senate Intelligence committee that the President had demanded his loyalty, pressed him to drop a probe into ex-national security adviser Michael Flynn and repeatedly pressured him to publicly declare that he was not under investigation. Comey also claimed in Senate testimony that he was defamed by the administration over their justification of his termination. Trump later said the Russia investigation was on his mind when he decided to fire Comey. CNN’s Jake Tapper will interview Comey on April 19 and on April 25 Anderson Cooper will host a town hall with the former FBI director.